The newsletter provides a possibility to improve the level of awareness and understanding of a company, their services, or products. If the content of the e-bulletin is well written, readers expect the next issue that can be printed weekly, monthly, or quarterly. 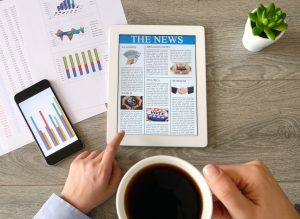 Although a standard publication or marketing campaign needs financial commitment in publications, whereas online newsletter can include the company’s advertisement as part of the e-newsletter and it’s inexpensive. Customers who subscribe to the newsletter, whether through a business website or social media, or who agree to receive future newsletter already establish a connection with the business and may even value to see advertisements for new products or offers. If the newsletter’s content has a lot of interesting information in the industry, the company will naturally be exposed to high-interest of readers. 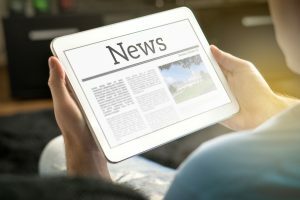 The contents of a newsletter can be combined with other features of a newly developed product, together with promotional content or content related to the product. There is no great difference between a blog and an online newsletter as a communication tool. E-mailing newsletters to all customers and potential customers is a cheap way of communicating, leaving more money for advertising or other promotional activities.